The Federal Budget 2019-20 has been revealed, and here’s the state of play for areas that will most affect the engineering profession and related disciplines. Infrastructure appeared to be the big winner in this year’s Federal Budget 2019-20 announcement, with major commitments to road and rail networks. The Federal Government announced an extension of its 10-year infrastructure package, bringing its total value up to $100 billion. Projects from years past, such as the Melbourne Airport Rail Link and Queensland’s Bruce Highway upgrade, were affirmed. New project announcements include: $2 billion for a Geelong-Melbourne rail line; $2.2 billion for a road safety plan; $1.6 billion for “congestion-busting” urban road projects; and $450 million for the Roads of Strategic Importance initiative to make regional areas more accessible for commuters and freight. While $100 billion is an attention grabber, the budget papers only reveal the forward estimates for the first four years of the 10-year plan, with an average yearly spend of $7.3 billion. According to Engineers Australia National Manager of Policy Jonathan Russell, this “stretches belief” about infrastructure spending, as it would mean an average spend of about $11.75 billion per year for the remaining six years. “It appears infrastructure was the big winner in this year’s budget, but once you look closer at the budget papers, it appears to be more of a sales pitch than an actual plan,” he said. Infrastructure is always used as an electioneering tool to drive excitement, but Russell said the government should instead focus on defining long-term priorities aligned with the Infrastructure Australia priority list, released this past February. 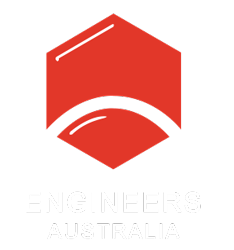 He added that Engineers Australia is “constantly frustrated” about misalignment between the projects the government funds in each budget and what is listed as a ‘high-priority project’ on Infrastructure Australia’s annual list. “We shouldn’t see a big announcement in every budget about a transformative approach to infrastructure, because we shouldn’t need to,” he said. Besides job security for current engineers, playing this long game would also make engineering more attractive to future generations. “It allows the profession to be a sustainable one, which is attractive to young people to enter and be confident they have a future career in engineering,” Russell said. “Basically, there’s nothing really new” Russell said of this year’s budget announcements related to energy security. Two additions he was pleased to see were a commitment to feasibility projects for establishing microgrids and $3.2 million to implement an integrated system plan for Australia’s National Electricity Market (NEM). “The Australian Energy Market Operator has a new system plan that is designed to take the NEM grid and transform it from being one designed for the 20th century, to one that is suitable for the 21st,” he said. Another announcement that could have implications for future engineers was budget allocation for an electric vehicle (EV) strategy development. But at only $400,000, it’s not much compared to what needs to happen to transition Australia’s fleet to an electric future. “It’s good that the government wants to develop an EV strategy, but the project isn’t going to end with a strategy,” Russell said. “If we do one little project after one little project, it will never happen. We’ve got a lot to do all at once if EVs are going to become a reality anytime soon,” Russell said. STEM’s talent pipeline was on the receiving end of some budget funding, including $20.1 million to identify emerging skills needs. Gender diversity in STEM professions was also a focus, and the government pledged $3.4 million over four years for gender equity programs such as the Science in Australia Gender Equity (SAGE) program. This was timed with the release of a decadal plan to increase women’s participation in STEM professions. Australia’s fledgling space industry received a funding boost as well; $19.5 million was allocated for a new National Space Infrastructure fund, while Mission Control in South Australia will receive $6 million. This is all well and good, but Russell said if Australia is to have a competitive space industry, this might be too little for launch. “It’s not going to take millions — it’s going to take billions,” he said. The government also needs to sponsor grand-scale projects that capture people’s hearts and minds, similar to how US President John F. Kennedy’s pitch to get a man on the Moon kickstarted the American space industry. “Without a national project, it’s hard to see how Australia will develop its own sovereign space capability beyond peripheral support services,” he said. At the end of the day, though, all this could change come election time; many of these budget commitments need to be taken with a grain of salt. “Was this a budget or was this an election pitch?,” Russell asked. We’ll have to wait until May to find out.